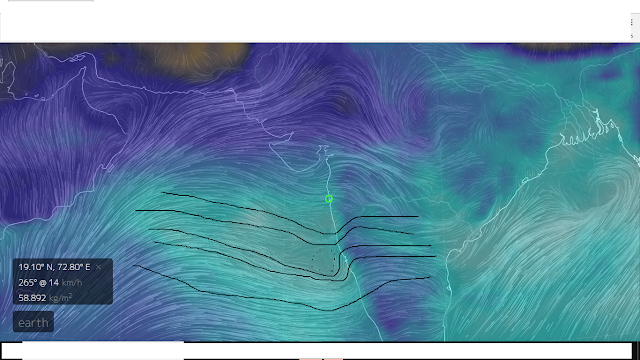 This Low will deepen in position and form a vortex/deep Low off the South Konkan coast. 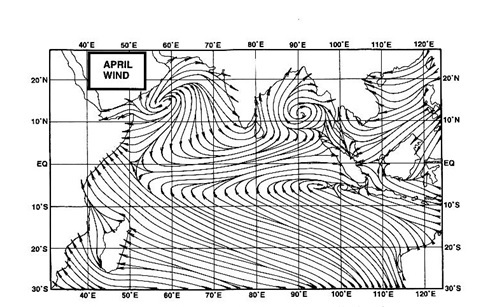 These develpoments will be strengthened (along the west coast) as the isobars get concised and closer, very strong winds likely along Coastal Karnataka and Maharashtra coast in 2 days. Under these conditions, and strong SW winds, South West Monsoon expected to move coastal Karnataka /Goa by 7th June Thursday. SWM will also advance in Telengana and rest of Karnataka. Thursday: Chance of a Thunder Shower in the evening in some parts. Friday: Cloudy and we see the rain intensity increasing from evening/night. Saturday: Rain thunder showers in the day with strong gusty winds. Rainfall amount expected from Saturday morning-Sunday morning 24 hrs around 75/95 mms. Sunday : Intermittent rains and strong winds. Frequent showers will be heavy with flooding in some areas. Rains amount expected from Sunday-morning-Monday morning 24 hrs about 110/130 mms. South Konkan and Goa towns will receive 150-200 mms rains on Saturday. What about North Gujarat South Gujarat and Saurashtra region?